4th Annual Day of Service at Riverside CemeteryShortly after dawn on April 20th the trucks started their slow procession through the gates of Historic Riverside Cemetery, starting the 4th Annual Colorado Arborists and Lawn Care Professionals Day of Service. Excitement mounted as the to-do list for the day was reviewed: planting four acres of native grasses, a new CSU Plant Select Demonstration Garden, and three Ponderosa pines. The day’s activities also included removing numerous dead trees and pruning heritage trees. A tall order for one day’s work but for CALCP the Riverside Revival has truly become an example of community collaboration at its best and a passion. 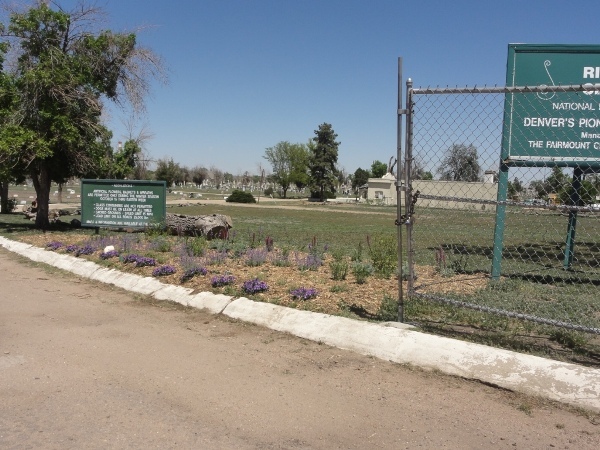 Locally we had 31 volunteers participate at Riverside Cemetery for our 4th year to improve their landscape after they lost water rights in 2002-3. We felled dead trees, trimmed live trees, planted a new Plant Select demonstration bed at the main entrance, weeded and did general clean up. In 2012, CALCP purchased and donated a large 8X12 shed to their site for use in storage of their garden supplies. This enables their Master Gardener volunteers to get to the supplies when the office is not open on evenings and weekends. Lunch was provided by Riverside Cemetery to all volunteers. Donations were received from Alpha One, Winfield Solutions, Pawnee Butte Seed Company, L.L. Johnson Distributors, Helena Chemical Company, Welby Gardens and Little Valley Wholesale Nursery. Volunteers were from Davey Tree Expert Co, Swingle Lawn, Tree & Landscape Co, TerraCare Associates, Covillo Landscape, Mountain High Tree Co, Green Mountain Lawn Care, Winfield Solutions, John Deere Landscapes. 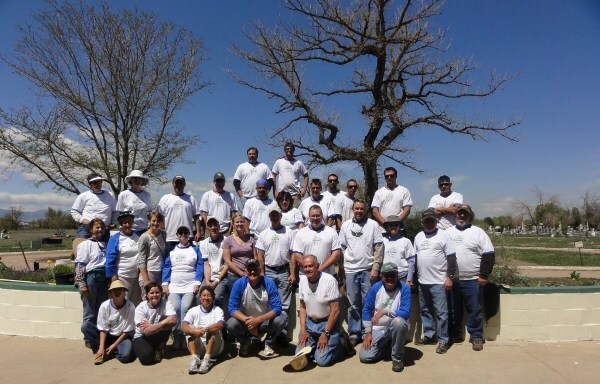 Nationally more than 2,600 volunteers from 36 states and Canada and Puerto Rico participated in 150 projects, including landscaping elementary schools, city parks, monuments, playgrounds, group homes, and senior citizen homes as well as educating school children on the benefits of the green industry. It’s estimated that $675,000 in time and services was donated during this year’s Day-of-Service. To insure that all the new plantings are well established, in 2011 CALCP donated three water tanks that hold a combined 4000 gallons of water: two stationary tanks and one trailer tank. In 2012, an additional 300 gallon tank and 8 x 12 ft shed were donated to enable the Fairmount Heritage Foundation volunteers to maintain the gardens and plantings. In 4 years the Riverside Revival, through the combined strength of CALCP’s members, has planted: 13 acres of Blue Grama/ Buffalo grass, 5 CSU Plant Select Demonstration Gardens, two native tree and shrub borders, and a Heritage Iris Garden while pruning numerous heritage trees and removing dead ones.